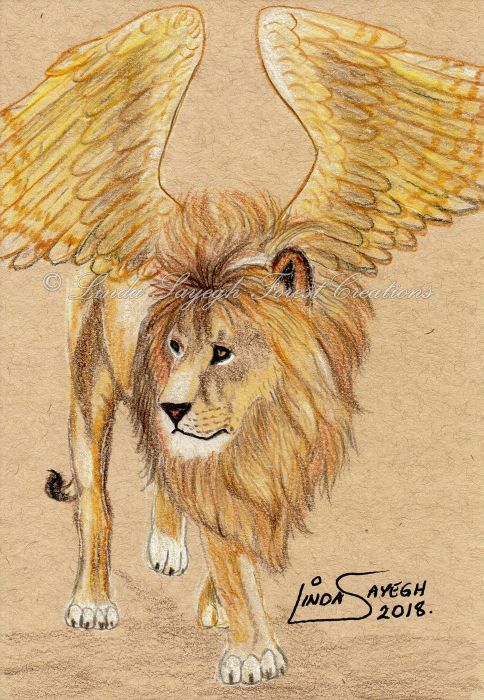 Drawing of a golden, winged lion. Colored pencils with a bit of Sharpie paint pen and Signo gel pen on Strathmore toned tan paper. 5 x 7 inches. Edward Cammarota says: Wow.....Very nice work	~ Reply? katerina Koukiotis says: wow looks at those wings!! ~ Reply?